We advise you to take minimum 1 size bigger than your average shoe size. The Fox Comp 8 SE Boots are the perfect mid-level boot for riders looking wanting a premium boot for a variety of off-road riding scenarios, and a unique colorway that you won't find on any other boot. The Comp 8 boot is built to be rigid and offer lots of protection. With injection-molded plastic strategically placed throughout, Fox has developed a strong and reliable boot. Fox has also paid attention to the small details that make a big difference – features like extra texture on the left side's toe box for extra grip on the shifter. Another feature that makes the Comp 8 stand out among boots is the dual heat panel, with a stickier compound on top and a harder compound on the bottom. This – combined with the slim inside profile – makes the Fox Racing Comp 8 boot fit the bike well. With a light and comfortable mesh in the boot's interior, the Comp 8 also fits the rider's foot well (and wicks away moisture at the same time). 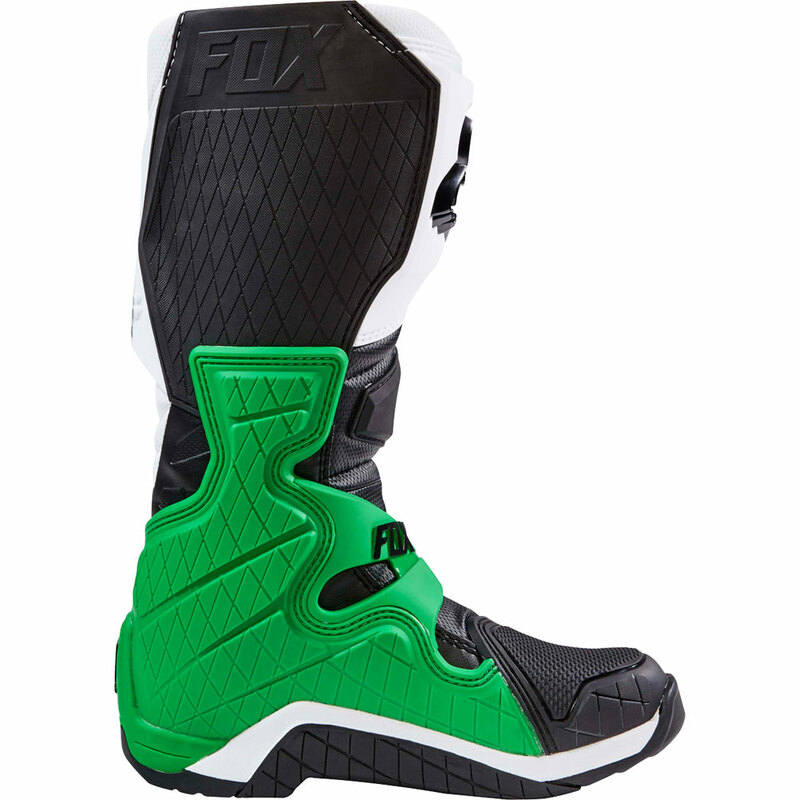 Add in the suede anti-slip heel in the interior, and the Fox Comp 8 is not only a comfortable motocross boot but an extremely effective one as well. 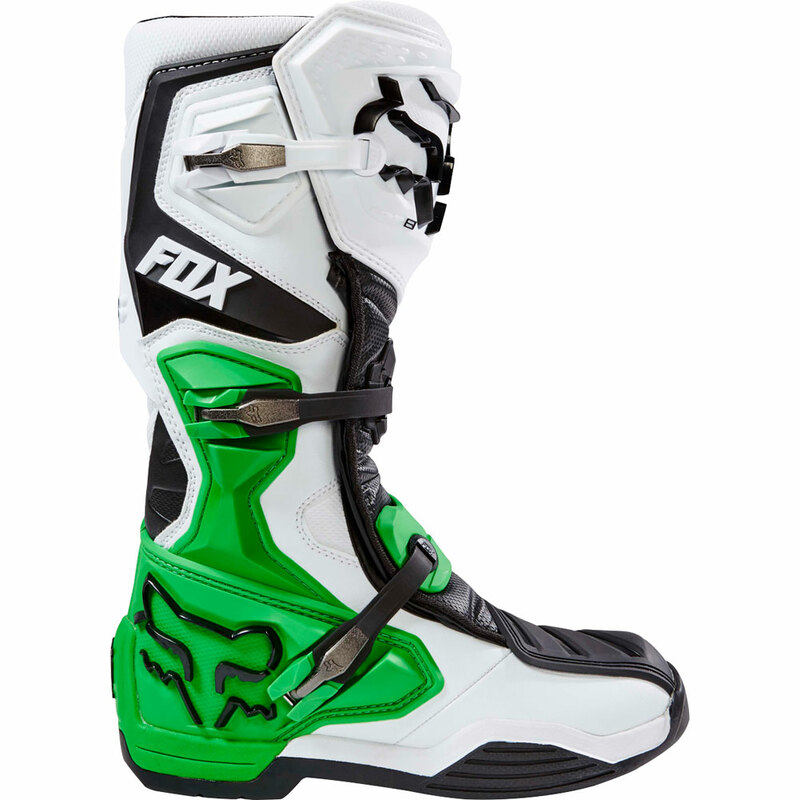 The Fox Racing Comp 8 boot features a three-buckle design. The buckles are built with a secure cup fitting and are reinforced when buckled. 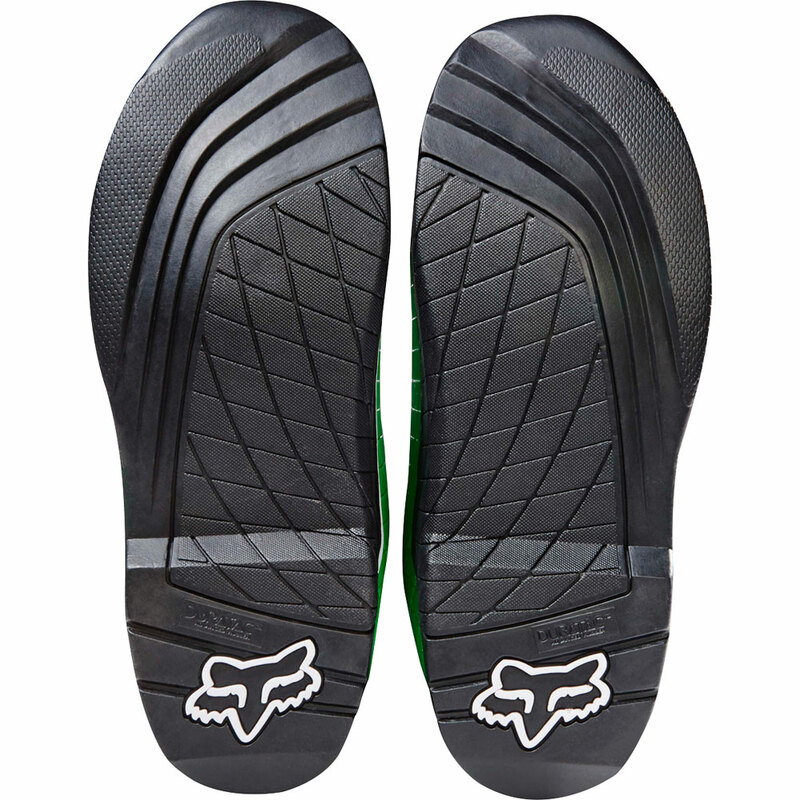 The Duratac rubber sole is proprietary to Fox Racing and is built with a sticky compound for superb grip on the pegs. Additionally, the boot's sole includes a steel shank, giving the Comp 8 extra support. 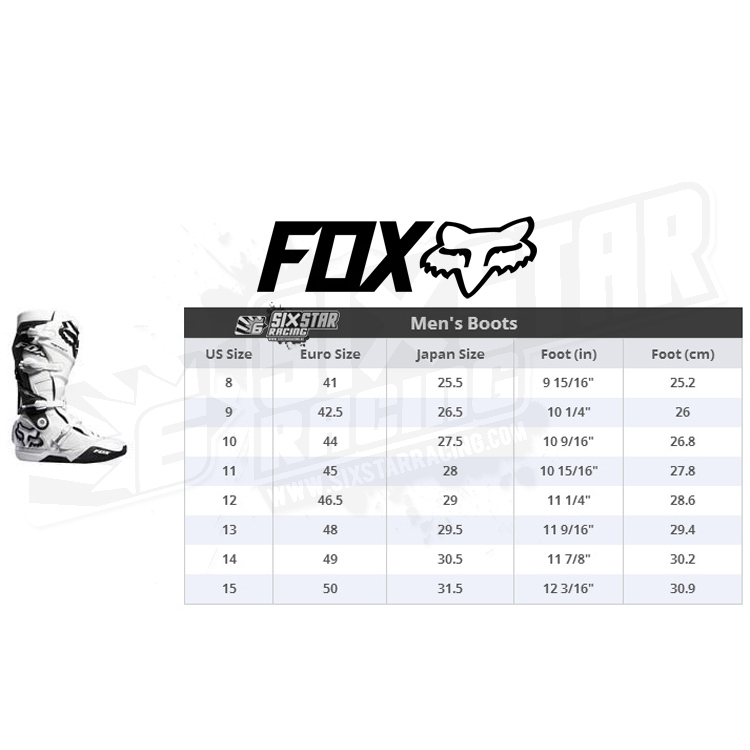 The Fox Racing Comp 8 boot is an incredible mid-level boot that offers an excellent level of performance with every ride. The Comp 8 features instant step in-comfort with minimal break-in. It has controlled ankle support with zero bulging. The sleek medial design with an integrated rubber burn guard makes for a precise connection with the bike. 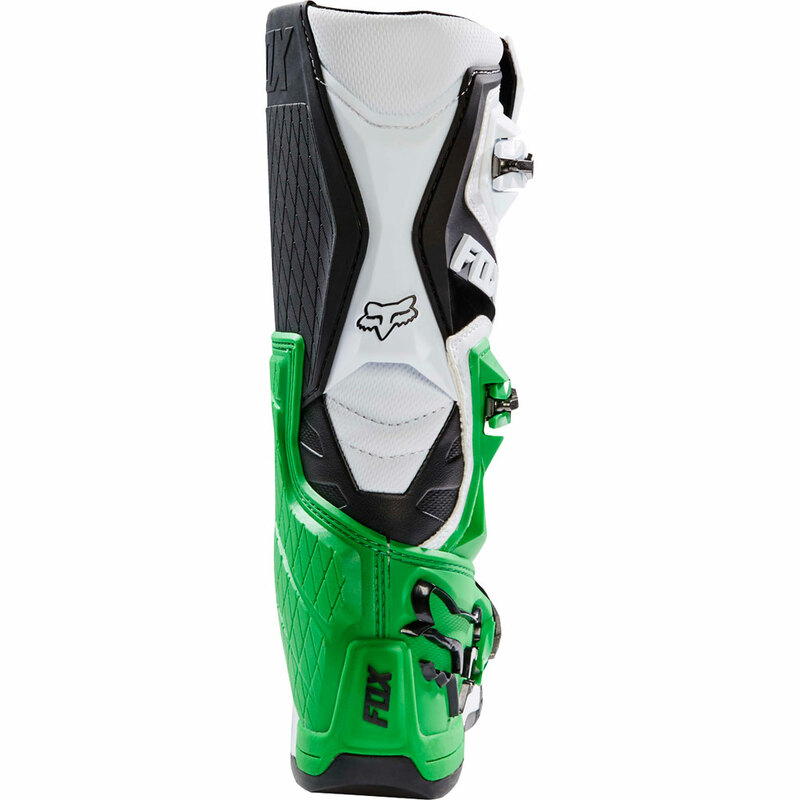 The Comp 8 boot enjoys the same buckle system as Fox Racing's high-end Instinct boot, with a 2-into-1 lower strap design. The boot includes an injection-molded plastic shin plate, calf guard, medial and toe cap. Premium foam ankle support is provided along with a suede anti-slip in heel to keep the foot in place. 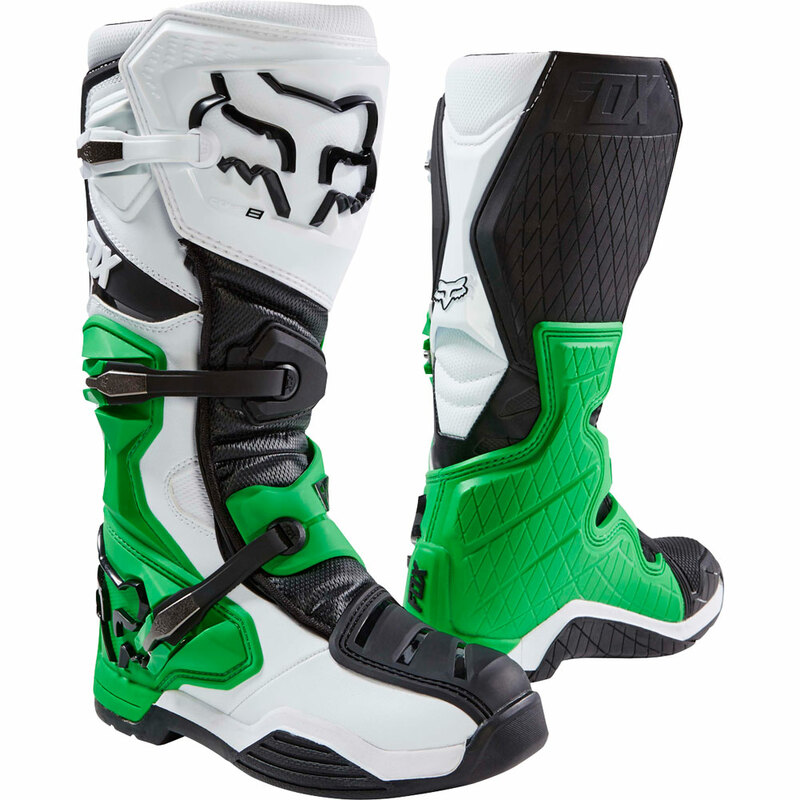 The Comp 8 boot features the exclusive Fox Racing Duratac outsole. An integrated steel shank is in the midsole for added support.